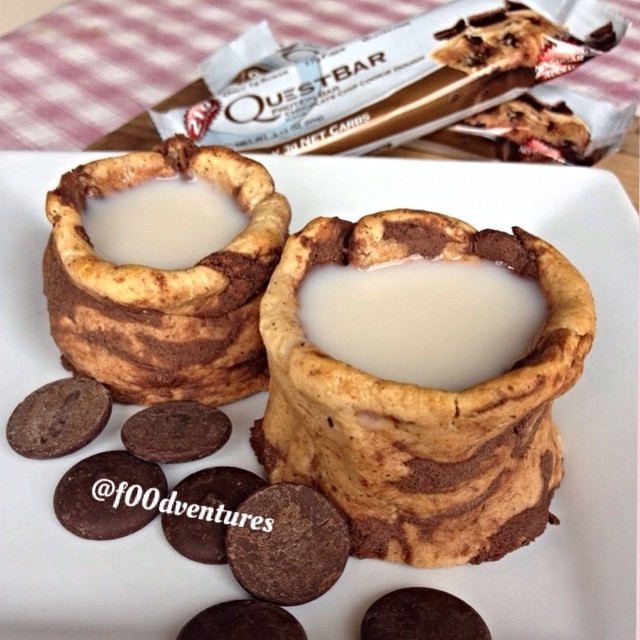 Enjoy the classic milk and cookies the high protein #cheatclean way with quest cookie dough cookie cups! Almost too cute to eat. Microwave 2 quest cookie dough bars for 10 seconds until pliable. Form each bar into a mini shooter/cup. I recommend making them as tall as you can because they will shrink/melt a little in the oven. Bake at 350 degrees F for 5 min then let harden. Once harden, fill with milk and enjoy.